Mr William Stern was born in Budapest in 1935; after the Nazi occupation of Hungary in March 1944, he and his family were taken to the Bergen-Belsen concentration camp. They survived the War and emigrated to New York in 1952 where Mr Stern pursued studies first at Yeshiva University and subsequently at Harvard Law School. It was during his stint at Harvard Law School that Mr Stern discovered the many risks and temptations which face a student when he leaves his home environment and suddenly becomes enmeshed in a totally new and different culture. He was shocked at seeing some of his friends shed their tradition and previous way of life in just a matter of months. Having married a young lady resident in London, Mr Stern moved to England in 1960. Early in his career, he established in London in 1971 a kosher canteen which welcomed students of Imperial College, located opposite his offices at Albert Court. This canteen has been going strong for the past 45 years and is presently catering to 30-35 Imperial College students every day of the academic year. When he expanded his business to Lithuania, Mr Stern discovered the presence in Kaunas of approximately 100 Israeli medical students. He felt that during the 6-year period which medical studies require, many of these students might lose not only their Israeli but also their Jewish identity. In 2010, he established the Jewish Club which grew and developed over the years into the Jewish Centre Kaunas. Its aim is to provide the Jewish students in Kaunas a home away from home and prevent the loss of Jewish identity which otherwise might occur. Rabbi Moshe Sheinfeld was born in Israel. He studied in chareidi, "Litvish" yeshivot. After his marriage, he moved to Migdal Ha'emek, where he was active in variegated activities in dissemination of Jewish values. He was one of the founders of the Center for Jewish Consciousness and Identity among the students in northern Israel, in the framework of the organization "Nefesh Yehudi". From the year 2008, he has been involved in public relations, and he gives lectures and lessons to a variety of audiences, as part of several different frameworks, such as "Nefesh Yehudi", "Hidabrut" and others. From the year 2012, he lives with his family in Kaunas. 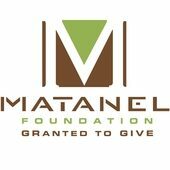 His wife, Rachel, and their four children are an integral part of his activity. Rabbi Sheinfeld heads the Israeli Students' Community there, and he manages the activity of the Jewish Center in the city. Rabbi Sheinfeld wrote and published the book "Mashehu Tov Leshulchan HaShabbat" - two volumes on the weekly parshah. The articles in his books address timely issues and the relevance of Torah in our daily, practical lives. 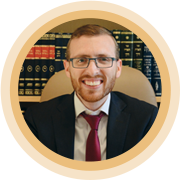 Rabbi Sheinfeld writes weekly columns on the Torah portion; his articles appear in different frameworks, in many online sites, both in Hebrew and in English. Alex Minin was born in the Soviet Union; he came to Israel as a child and received his education in chareidi institutions. He continued his Torah education in chareidi, Litvish yeshivot. He pursued his studies in Israel, receiving a B.A. in marketing and management. In the year 2015, he moved to Kovno, to manage the Jewish Center's activity in the city. 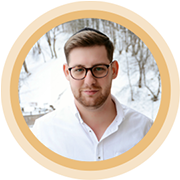 Alex is a manager and a full partner in the Jewish Center in Kovno, together with Rabbi Moshe Sheinfeld. 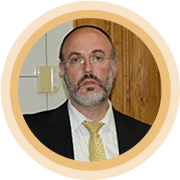 Rabbi Eliyahu Rotenberg, from Jerusalem, has a great deal of knowledge and experience in matters concerning kashrus. 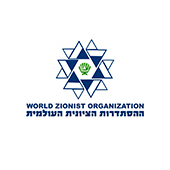 Many hotels and vacation resorts all over Israel and Europe are under his supervision. 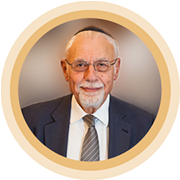 Rabbi Rotenberg stands at the head of a well-known mehadrin kashrus certification authority, one that is recognized by the charedi community in Israel and abroad. The kitchen at the Jewish Center operates according to meticulous mehadrin standards, according to his instructions, under his supervision and guidance.